We are reckoned as one of the leading Manufacturers, Exporters, and Suppliers of Vertical Yarn Dyeing Machine. 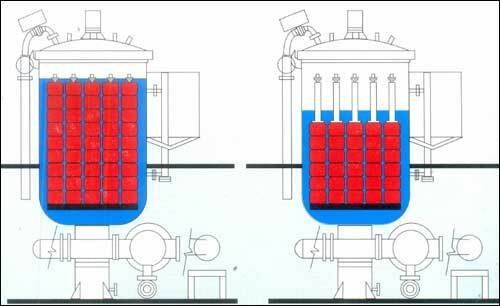 Vertical Yarn Dyeing Machines are suitable for the dyeing of yarn packages, loose fibres, tops, and tows, yarn beams with suitable material carriers. We ensure packaging of Vertical Yarn Dyeing Machine in wooden boxes to protect it from damage while delivery.